All these three models have established themselves in the Indian market and are popular for more reasons than one. 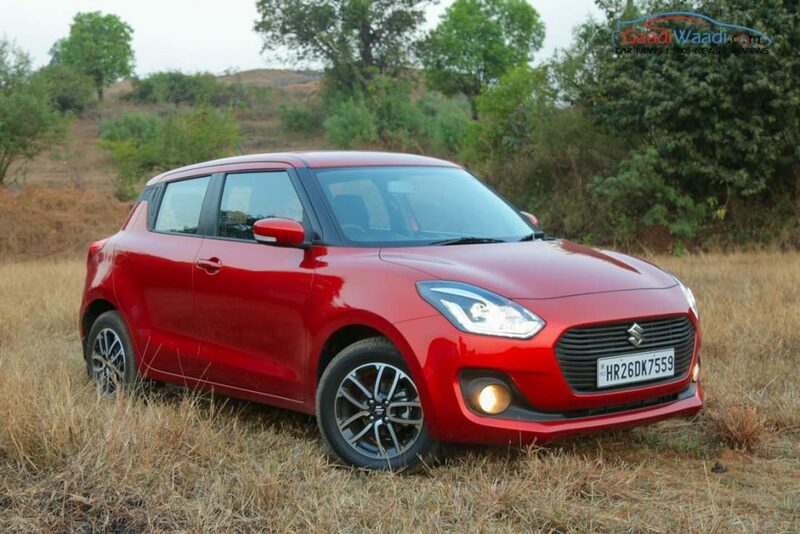 The third-gen Swift uses the same tried and tested 1.2-litre K-Series engine that develops 83 bhp at 6,000 rpm and 115 Nm at 4,000 rpm. The 1.3-litre turbo-diesel DDiS makes 74 bhp at 4,000 rpm and 190 Nm at 2,000 rpm. Both are connected to either a five-speed manual transmission or a five-speed AMT gearbox – first in the Swift’s lifecycle. Due to the lightweight HEARTECT platform, the 1.2-litre petrol engine sees improved fuel efficiency to 22 kmpl and the 1.3-litre diesel is now claimed to offer a massive 28.4 kmpl. The all-new Swift has a modern exterior with a more pronounced front end featuring projector lamps with LED DRLs, bolder front bumper, a comprehensively new rear end, floating roofline, pillar mounted door handles and so on. 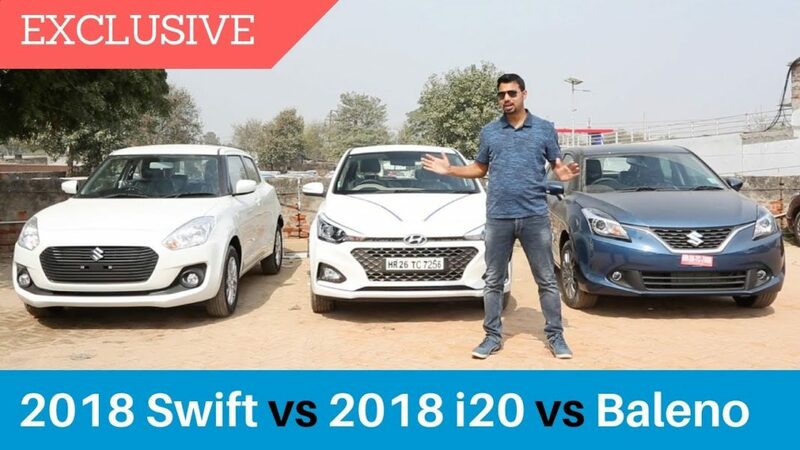 On the inside, the 2018 Swift now gets a flat-bottom steering wheel with mounted controls, large twin-pod instrument binnacle with MID wedged in between, redesigned dashboard and instrument panel giving more premium appeal and new air vents. Other main changes are revised switches and knobs, new central tunnel, dashboard-integrated touchscreen with Bluetooth, voice recognition, Apple CarPlay, Android Auto and MirrorLink compatibility. 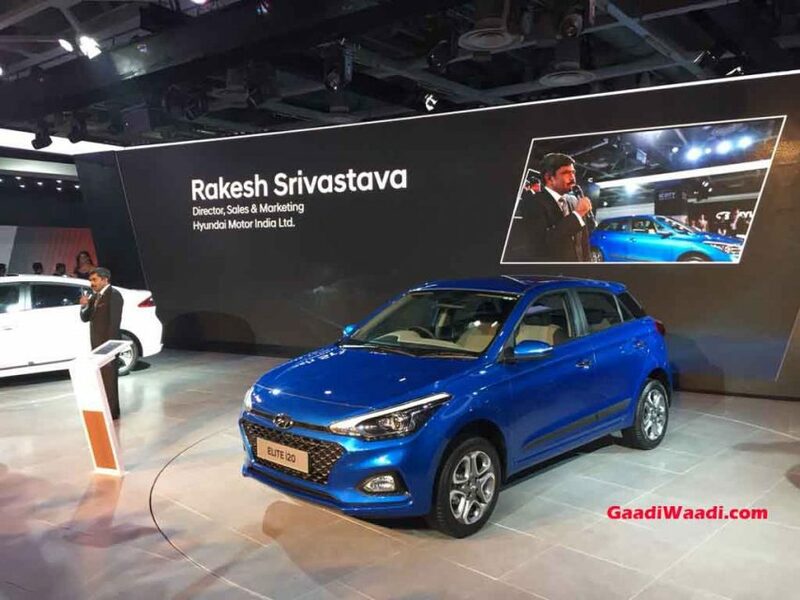 The facelifted premium hatch from Hyundai was launched at 2018 Auto Expo. It features new hexagonal cascading grille, sleeker projector lamps and LED Daytime Running Lights, multi-spoke alloy wheels, redesigned bumper, newly designed alloy and re-positioned number plate. Like the Swift, no powertrain changes are made here as well. The 1.4-litre U2 CRDi oil-burner develops 90 PS at 4,000 rpm and 220 Nm torque at 1,500-2,750 rpm. It is mated to a six-speed manual transmission only. The 1.2-litre Kappa Dual VTVT petrol, on the other hand, makes 83 PS at 6,000 rpm and 115 Nm torque at 4,000 rpm. It is linked to a five-speed manual. The more powerful 1.4-litre Dual VTVT petrol motor churns out 100 PS at 6,000 rpm and 132 Nm at 4,000 rpm torque. 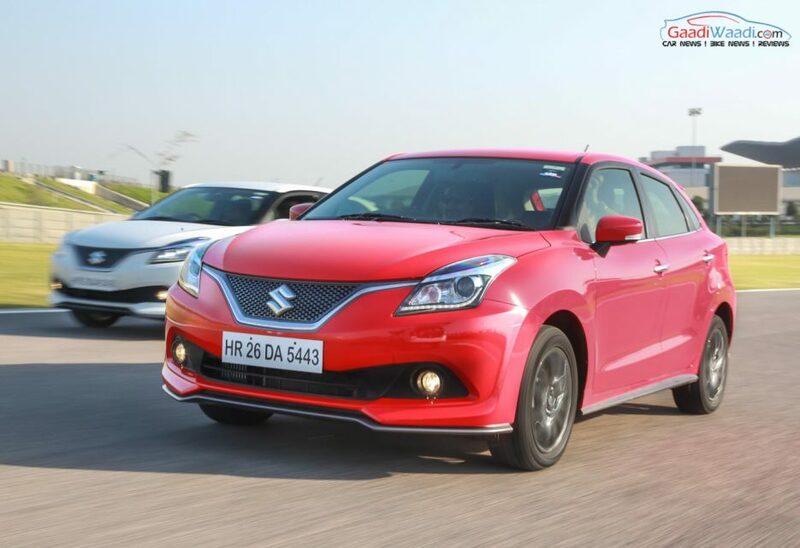 The automatic Magna based on it is replaced by a 1.2-litre Kappa unit and is connected to a CVT (Continuously Variable Transmission) to reduce the price gap against Maruti Suzuki Baleno’s Alpha CVT. The new Elite i20 facelift has dual-tone interiors in beige and black theme. Other important equipment are three-spoke multi-functional steering wheel with mounted controls, front centre armrest, two cup holders and updated center console among changes. With all the revisions, Hyundai is hoping to take the fight firmly to its direct rival Maruti Baleno. The Baleno is the second product to be retailed from the Nexa with a choice of petrol and a diesel engine. The powertrains make similar outputs as in the Swift which is based on the same architecture as the Baleno. The 1.3-litre diesel has a claimed fuel efficiency of 27.39 kmpl and the 1.2-litre petrol returns 21.4 kmpl. The premium hatchback follows Liquid Flow design philosophy and has a unique front fascia with chrome detailing on the V shaped grille, headlamp cluster housing smart LED DRLs, round-ish front, curvy front fenders, stretched back A-pillar, multi-spoke 16-inchers on top-end models, LED tail lamps, etc. The cabin composes a modern dashboard layout, all-back treatment with the silver accents, a contemporary instrument, coloured TFT multi-information display, steering wheel with mounted controls, touchscreen music system with USB and Aux, navigation, Apple CarPlay, reverse parking camera, engine start-stop button, 60:40 split seats and so on. The Baleno is retailed between Rs. 5.36 lakh and Rs. 8.5 lakh while the new Swift costs from Rs. 4.99 lakh to Rs. 8.29 lakh. The Elite i20 is also competitively priced between Rs. 5.35 lakh and Rs. 9.15 lakh (all prices, ex-showroom Delhi).